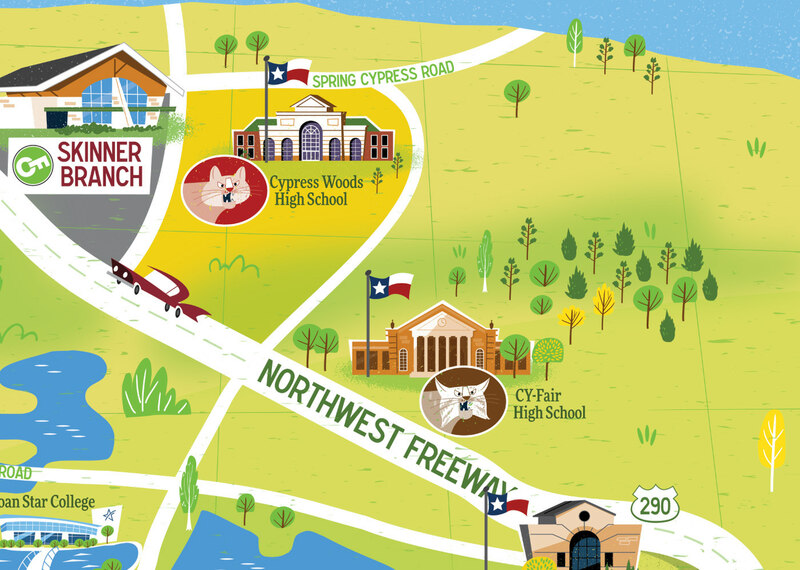 Cy-Fair Federal Credit Union, located near Houston, TX, commissioned me to create a fun and engaging cartoon map of their field of membership. 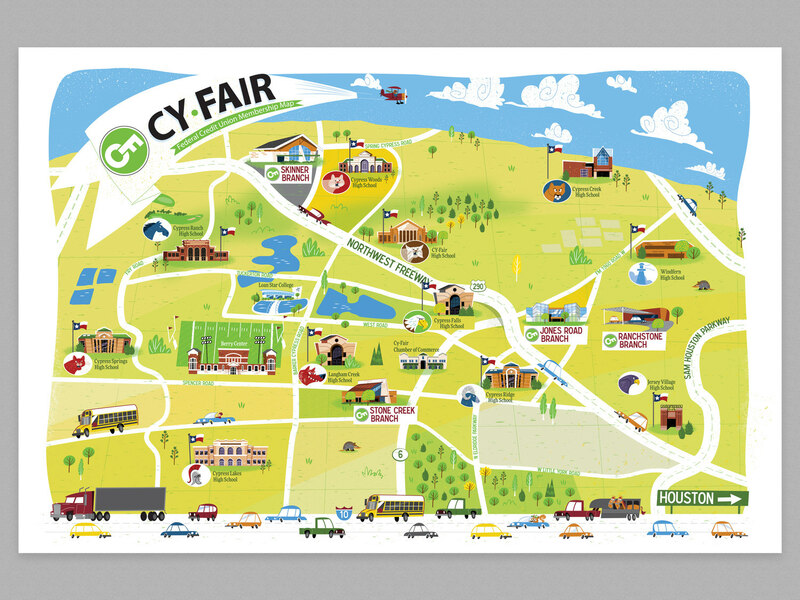 The map was printed as a poster and measures 41 inches wide by 27 inches tall. 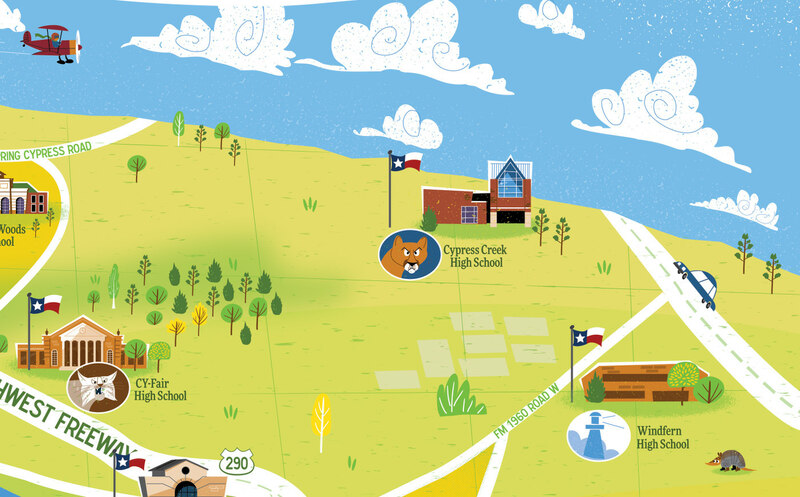 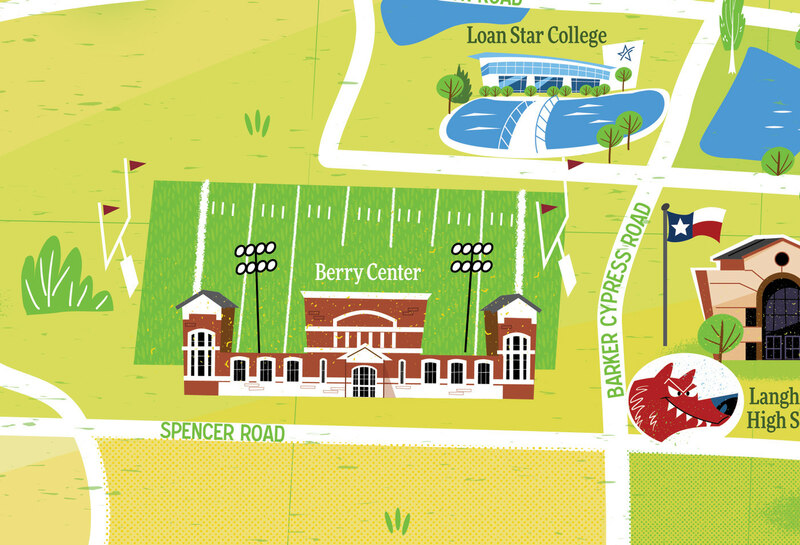 Along with all of the credit union branches, the map features all of the major high schools, colleges, and various landmarks. 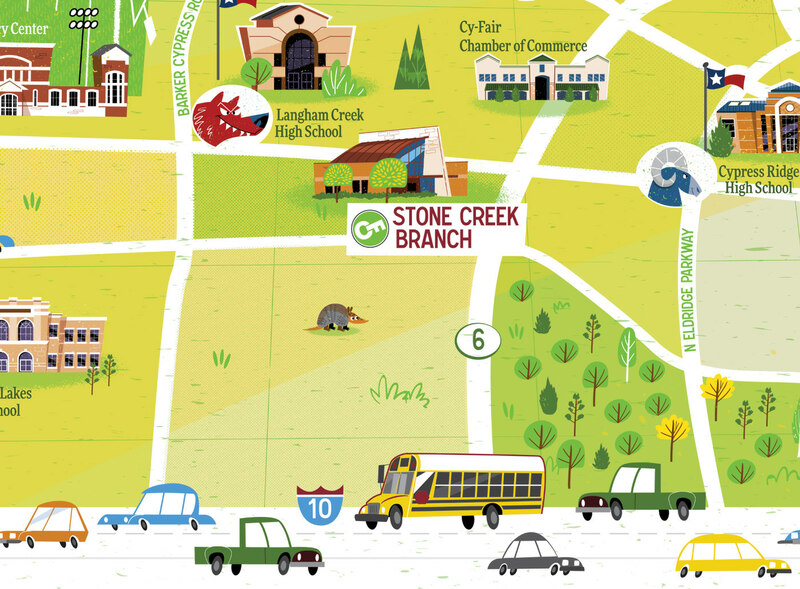 I had a blast working on this piece, and I hope to do more cartoon maps in the future.